I’ve been meaning to try a velodrome track session since I missed my clubs taster session almost a year ago. Luckily a riding friend of mine booked a session and made me commit to attending. Despite the crazily early start I was feeling excited, if slightly daunted by my first track session. We quickly got changed and grabbed a bike, the group was of very mixed ability but we quickly got on the track, learning to ride within each section of the track, whilst overtaking the slower riders in a safe manner. The first hour flew by, but luckily we had booked a 2hour session, whilst the second group were getting acquainted we had the track to the four of us! We had great fun trying our own team pursuits, the speed you can build up to with just one gear was incredible, and despite a few risky changeovers I was having a great time! I never realised from watching track racing on the TV quite how steep the corners are and how strange it feels to overtake people by going over the top of them! By the end of session I was hooked! We discussed with the trainer about booking the next session, but unfortunately racing is still a long way off! 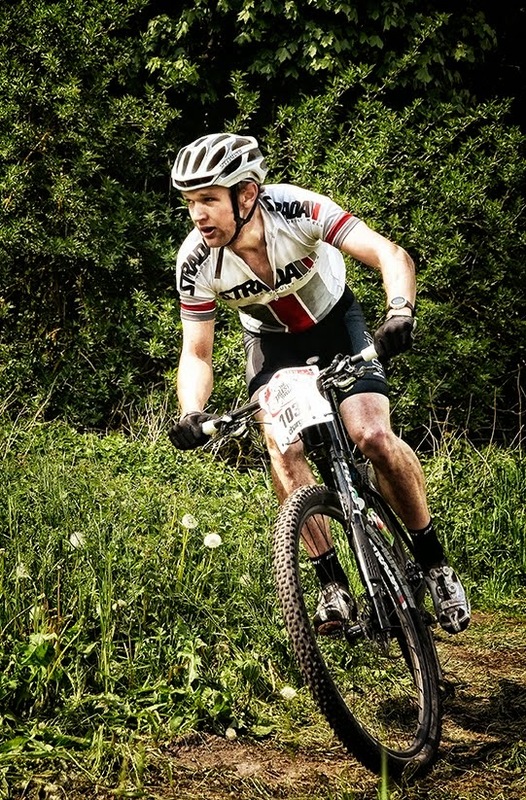 Anyhoo… Saturday is Dusk Til’ Dawn at Thetford in Suffolk, I have attempted this race once before back in 2010, I remember the race starting, the rain starting 30 seconds later and my bike, body and mind falling apart 6 hours later. I’m hoping for a better race this time! Dusk 'til Dawn. second solo male!